It was a most atypical action for Katie MacArran...much more something her late sister Corrine might have done. No sooner were their bags in their rooms, than Grandpa Joe summoned Katie’s father to his study for a talk. Though he never said so out loud, it was clear from the tone of his request that he intend for this to be a ‘stallion-to-stallion’ discussion. That was Katie broke character. Why she did it, she would never know, but the fireplace in her grandfather’s study backed right up against the one in the living room...and there were several small holes in the firebrick separating them...holes just big enough for an eye. When Katie put her eye to the hole, she saw her grandfather looking up sternly at her father with his arms folded over his chest. Joe raised a hoof, cutting him short. “That’s not what I asked you, boy. What HAPPENED with all that money?” She saw her grandfather father reach beyond her field of vision, and return with a bottle filled with something the color of strong iced-tea. Waving it just under Ian’s nose, Joe demanded, “How you’re makin’ so much money off this stuff alluva Goddam sudden, Ian? Hell, even I know Scotch ain’t THAT popular over in Britain.” Joe’s hooves moved to his hips and his muzzle lifted upwards at her father, with the nostrils flaring. The effect reminded Katie of double-barreled shotgun being brought to bear. Katie’s lower lip started to tremble, and she had to bite it to keep from making any noise. More than anything she wanted to tear her gaze away from what was transpiring on the other side of that peephole...but she could not. She was a bird, mesmerized by the eyes of a hungry serpent. Now, Ian drew himself up to his full height and crossed HIS arms. And Grandpa Joe doubled over with a big, hearty horse-laugh. And that was when Katie’s sire did something she had NEVER seen him do. “Well, ye know, Joe. When would any guid Scot turn down a chance t’ put a wee bit o’ jingle in his pocket?” His expression turned serious, “But ye should also know...I never actually sell the stuff in the states, meself. Always leave that part t’others.” He went on to describe his ‘hooves-off’ method of dealing with his clients, with Grandpa Joe nodding somberly and approvingly. Then with a mile-wide grin, Joe said, “Well, I’d say this call for a toast, son.” He pulled a corkscrew from his pocket and began to twist it into the stopper of the bottle. Ian looked at him and made a face. Katie should have hated her father for it. After all the times he’d expected her to walk the straight and narrow, here he was, practically an outlaw. Except...all these years, it hadn’t been just Katie’s grandfather who thought her sire had a broom permanently embedded where the sun didn’t shine. Now, for the first time, Katie was seeing a side of her father that she’d never known existed. So, he wasn’t such a prig, so he wasn’t such prude, so he wasn’t such a puritan after all. And she found she kind of liked having a father who wasn’t flawless. That aircraft was a Verville Sport Trainer.. a rakishly beautiful plane of which only 10 were ever built...but which was powered by the ubiquitous Wright Whirlwind engine, making spare parts anything but hard to come by. It was a huge improvement over her old AVRO and her flying skills improved markedly from the moment she took it skyward. One night at the dinner table, Katie’s father surprised her a with a question. “Your own plane?” her father asked. “What kind of plane?” asked Grandpa Joe, who had already guessed the answer. Katie’s eyes dropped down to the table-top. Even she couldn’t stare down both her sire and grandsire at once. “Out of the question!” said her father, slamming his hoof on the table. Katie braced herself for the coming tirade..but the one that followed wasn’t quite what she expected. Katie looked across the table to her grandfather for support...and found him shaking his head and regarding her ruefully. “All right, all right.” said Katie, raising her hooves in defeat...for now. Katie’s ear went forward and locked into position. Now THIS was a piece of news. “Really, dad?” she queried, cautiously. Katie MacArran suppressed a groan. If there was one kind of aircraft in which she had NO interest whatsoever, it was dirigibles. She crossed her fingers, submitting a silent prayer. God, apparently, was busy elsewhere that evening. “Since you SENT me to live in America,” Katie thought, a long forgotten bitterness beginning to worm it’s way back to the surface. Katie chose the next words she spoke as carefully as if she were picking mushrooms. Her father smiled and waved a finger. Katie relaxed a little. Okay, fair enough. She would go to Britain, she would have a nice visit, she would see the builder of the R-100, he would politely turn her down, and then she would come back to America and begin work on her race-plane, no conflict with her father necessary. When the date for her departure from New York was set for the end of October, not at all the best time to visit England, Katie almost changed her mind...until she realized that this would put her in an almost perfect position for a side-trip to Baltimore...and the next running of the Schneider Cup competition. In the meantime, on the last day of July, two days before he was supposed to board the train to New York, Katie’s father came to her room and asked if he could talk with her privately. She agreed and followed him, not to her Grandfather’s study, but to the back porch, where he stood, gazing silently at the mauve vistas of the Flatiron Mountains, watching them for a long, long time. Then he turned to her. “What is it, dad?” she asked, both wanting to know and wanting never to know. Her father drew in a deep breath. Katie looked at him, blinked. Ian MacArran looked away for a second. At first, Katie didn’t understand. Asylum? No, she couldn’t have heard that right. He must have said something else. But then, he repeated the statement, this time not verbally but with his eyes...and she knew that she hadn’t misunderstood him. So what could Katie do? She threw herself into her sire’s embrace and let him hold her for as long as he wanted. “D’ye ever...hate me for sending you to live in America?” he asked, still holding her. She wanted to tell him she didn’t, but she knew that it wouldn’t pass. Ian smiled and laid a hoof on her shoulder. Katie said nothing to this. She just burst into tears, and let her sire take her in his big, strong arms once again. “I love you, Katie.” said Ian, tenderly stroking her mane. There was no question of her coming to Britain now. Katie would remember that trip as a series of highs and lows. The first high came when she stopped off in Baltimore for the 1925 Schneider Trophy race...where she thrilled to the sight of one of the American entries, a Curtiss R3C-2, beating the old course speed-record by nearly 60 mph and it’s closest competitor by a more than 30. The pilot of that plane was an impish raccoon named Lieutenant Jack Finlayson...and he would ever after hold a special place in Katie’s pantheon of heroes. When the race was over Katie managed to get his autograph, and more importantly a close-up look at his winning plane. That boat-passage turned out to be the first low point of Katie’s trip. Even in the summer months the North Atlantic is not the kindest of seas, and in the Autumn of 1925, it was about as hospitable as a viper’s nest. Her ship, the Cunard Liner R.M.S. Berengaria did a nonstop Charleston all the way to England, and Katie soon had good reason to resent the fact that she was an equine. At least her fellow passengers could give vent to their seasickness by puking. All she could do was just lay in her cabin and suffer. When Katie came down the gangplank in Southampton however, her spirits, and her appetite, lifted almost at once. Her father took her to a restaurant where she ate ravenously, and thence to the house in Kensington where she enjoyed her first good night’s sleep in over a week. Katie had a wonderful time in London. She went shopping at Harrod’s, she went to plays in the West End, she went to the Royal Albert Hall to hear her very first symphony. She also went to several parties, where she received a great deal of attention from the eligible sons of other British gentry...all of it unrequited. Without exception, these young aristocrats turned out to be boorish twits whom she wouldn’t date with a shotgun to her head. That should have been another low point, but it wasn’t. Katie quickly discovered that she had a gift for sharp rejoinder...and she never hesitated to use it. One time, at a garden party in Holland Park, she was approached by the sweetheart of one of these simpletons; a silly young vixen who had somehow got the idea into her head that Katie was planning to depose her. “You dare to think you can steal my sweet Simon from me, you little prairie hussy?” the fox femme had sneered, standing over where Katie was sitting. Katie just raised an eyebrow. The vixen’s ears turned as red as her fur and she stalked off without another word....while everyone else around Katie either laughed or applauded her. The British have always loved a good repartee. That was when Katie also began to display her ability to switch fursonalities at will. Another apparent low point came when Colin arrived from Strathdern for a weekend in London. Katie braced herself for another round of sneering comments from her elder brother, but none were forthcoming. Colin was polite, even gracious to her, and if his manners were a bit forced...well, at least he was displaying some manners. Later, after he had departed, Katie mentioned Colin’s change of attitude to her sire over breakfast. Ian had responded by rustling his paper and regarding her over the top of the page. Katie turned away to hide her horror. Even less than building an airship did she want to become the Duchess of Strathdern. Her father set down the paper and nodded. Katie nickered uncomfortably. She knew this of course, but that didn’t mean wanted to discuss it. The next day, Katie boarded a train for the old wartime airship station at Howden, where the R-100 Airship was being assembled. Within five minutes of her arrival, she was ready to flag down the first passing car, and run for her life. The construction shed was damp, and infested with wildlife, such girderwork as there were of the fledgling airship were coated with a good inch of hoarfrost. ( and it wasn’t even winter yet. ) And worst of all, despite what her father had said, the rival R-101 project ( which was government sponsored rather than a private enterprise ) had snapped up every almost skilled dirigible worker in the British Isles; leaving the R-100 to be largely assembled by hastily trained farm-hands. If Katie had been determined not to work on this project before, her resolve now stiffened into tempered steel. That tempered steel melted like a snowball in a teapot when she was introduced to the R-100's designer. His name was Barnes Wallis. He was an elk, he was even taller than her father...and he was easily the most brilliant aeronautical engineer Katie had ever met. Years later, Barnes Wallis would design and build the legendary ‘dam buster’ bomb...but even now genius seemed an inadequate word to describe him. He was one of those rare individuals who made everyone around him feel less intelligent than himself...without ever making them feel inferior. The project’s senior stress engineer and second in command, an Australian rabbit named Neville Shute Norway, (who would one day pen the classic post-nuclear novel On The Beach) was no slouch in the brains department, either. And when Katie saw the blueprints for the R-100, which used a new and brilliant design formula called ‘geodetic’, that was the clincher. The ship would be built from only eleven different parts and would weigh only 150 tons...yet it would be as structurally sound and have as much useful lift as anything coming out of Friedrichshafen. Somehow, by hook or by crook, she HAD to become part of this project. And three days after returning to London, she was informed by telegraph that she was. When she came into the parlour, waving the telegram, Katie’s father whooped and proposed a toast. Katie smiled and shook her head ruefully.. If this revelation was disappointing to her sire, he showed absolutely no sign of it. “You’re on.” said Katie giving him a hug and a peck on the cheek. Katie’s first job at Howden consisted of relaying Neville Norway’s instructions to the workers, and it soon turned out to be a task at which she excelled. She had a flair for being able to translate even the most complicated technical instructions into language almost anyone could understand. Soon thereafter, Barnes Wallis summoned her to his office and presented her with a much bigger challenge...find a way to combat the constant icing-over of the R-100's girderworks. It was a task into which Katie threw herself with alacrity. This she accomplished via the simple expedient of having the exterior of the shed painted black and the interior painted bright white. “Go on,” said Barnes Wallis, taking a puff on his pipe. “No,” said Katie, “They’ll still need to be de-iced. But now, instead of hot water, we use a variation on the stuff used to clean ice off mining machinery. We mix five parts water to two-parts alcohol, and one part glycerine. It works great and it won’t freeze up again. Put together with everything else, it takes almost no time before the frame is ready for work. C’mere...lemme show you how it works. And they did come, and they did see...and Katie MacArran was promptly promoted to the R-100's design team. Even so, construction of the R-100 airship went forward at a maddeningly erratic pace...not due to any design problem but thanks to that bugbear of every engineer since before the time of the Pyramids...a shortage of funds. When money was available, the work proceeded. When there wasn’t any, it stopped...sometimes for weeks at a time. Not that this was necessarily a bad piece of news. Now Katie had time to work on her own pet project -- construction of a race-plane. As it so happened, her debate with her father and grandfather over entering the Pulitzer trophy had already become academic. The 1925 Pulitzer, (which she also got to see before leaving for Britain,) had turned out to be the last one held. So instead she began laying plans for a plane to compete in Britain’s most prestigious air-race -- the King’s Cup, to be held that coming July. Katie had glorious plans for her new aircraft. It would incorporate all the latest design features; a low-wing monoplane design, retractable landing gear, wing-mounted radiators, wing flaps, an enclosed cockpit, and it would be propelled by the most powerful engine then being built, the Curtiss Conqueror. But then, one chilly morning in late February, she made bold to show the blueprints pf her new plane to Barnes Wallis. The elk’s response was to take two puffs on his pipe and say, “Well, it’s all rather a complicated scheme, isn’t it?” And then he commenced to scrawl annotations all over Katie’s laborious efforts. By the time, he handed the blueprints back, her ears were plastered flat against her scalp. But when she saw what he had done, it was as if a pair fish-scales dropped from her eyes. Wallis was right. The design-scheme for her King’s-Cup racer WAS overly complicated...horribly so. Katie threw the blueprints in the fire and started again from scratch. Now her plane would be powered by not by the liquid-cooled Curtiss Conqueror, but by the less powerful but far more reliable Bristol Jupiter...an air cooled radial for which wing-radiators would not be needed. True, it would produce more drag...but Katie was able to considerably reduce this problem via the use of a new cowling design and the implementation of a propellor spinner. Now the plane would not have retractable landing gear...but it would have streamlined coverings for them; ‘wheel-pants’, another innovation that was just coming into vogue...but one much more simple than retractable gear.. No longer would the plane be an all-metal aircraft...now, only the engine and cockpit enclosures, and the leading edges of the wings would be sheathed in metal. The rest would be covered in fabric. And Katie could live without the enclosed cockpit after all. About the only area where she refused to give ground was in her insistence on wing flaps and that her new aircraft would be a low-wing monoplane...but even here, she worked feverishly to simplify the flap controls and to reduce the number of bracing wires needed to hold the wings in place. But no sooner had she begun the actual construction of her plane than a telegram from Italy arrived in Howden. As usual, Barnes turned out to be exactly right. And Barnes Wallis had interrupted her with one of his rare smiles. As things turned out, Katie wasn’t being offered a place on the actual flight of the Norge...not yet anyway. And Umberto Nobile wasn’t even in charged of the expedition. That position was held by a crusty badger whose expression seemed to be set in a permanent scowl; the great Norwegian explorer Roald Amundsen, the first fur to reach the South Pole Fortunately for Katie, the second in command and chief financier of the expedition was a wealthy fisher named Lincoln Ellsworth... whose own father happened to be an old acquaintance of Grandpa Joe. On April 13, with an ample supply of de-icing fluid, Katie arrived at the expedition’s jump-off point -- King’s Bay on the Arctic Island of Spitsbergen. Almost immediately, she found herself facing an intractable problem...a layer of ice, three inches thick, caking the walls and inside ceiling of the Norge’s hangar. No sooner was this ice-coating removed than it promptly began to form again. And then it began to form faster than it could be removed. Katie’s solution to this dilemma was as simple as it was radical. She had the hangar roof torn off. It was a draconian remedy to say the least...but it worked. No more ice collected on the walls of the shed. And Katie was treated to the profuse thanks of both Lincoln Ellsworth and even Roald Amundsen. Katie didn’t even hesitate before accepting. Five days later, the Norge arrived in Spitsbergen. 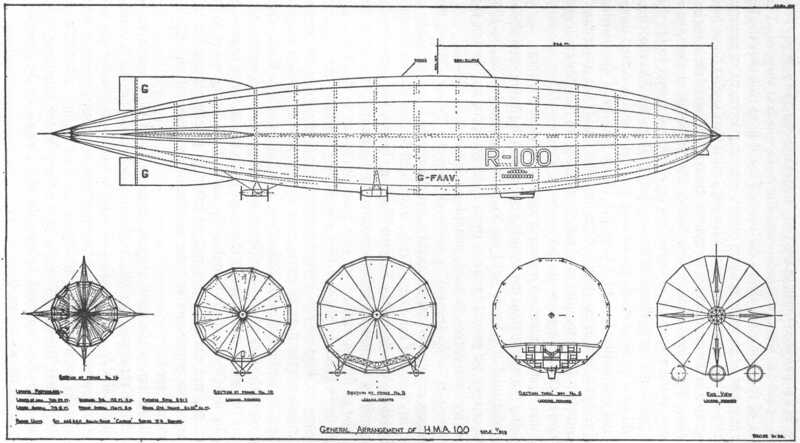 She was a much smaller airship than the R-100...less than half her length and only a semi-rigid design to boot. Nonetheless Katie, who was seeing her for the first time, was highly impressed by the Norge’s lines, and said as much to Umberto Nobile, who had also been her designer. Nobile, a ginger tabby cat purred gratefully at her compliment. Two days after that, Richard Byrd took off from King’s Bay in his Fokker and returned 15 1/2 hours later with the grand announcement that he had reached the North Pole. Almost no one in the Norge expedition believed it, but the claim was almost instantly accepted as valid by the world at large. So that evening, Lincoln Ellsworth and Roald Amundsen called the ship’s company together and announced a change of plan Now the Norge would attempt to make the first full crossing of the Arctic Ocean by air...passing over the Pole in the process. From that moment on, Roald Amundsen’s demeanor towards Nobile became as frigid as the weather outside...and inversely, his attitude towards Katie began to thaw. Katie would remember the rest of that journey as a combination of clutter, cold, boredom, and sheer, backbreaking drudgery. Even with a full crew complement, there weren’t nearly enough souls on board the Norge to perform all the necessary tasks. Soon, everyone was pulling double, and even triple shifts. Furs began to fall asleep at their posts and even to hallucinate. Katie found herself dragooned into serving as a second assistant navigator, a task about which she knew almost nothing. Before long, the floor of the control car became littered with debris and discarded thermos bottles...which Katie took upon herself to gather up and throw overboard at every available opportunity. “You’re adding a femme’s touch to this endeavor.” Roald Amundsen once told her with a wintry smile, as she passed him by with an armful of refuse. Amundsen considered this for a moment, and then set every available crew member to assisting her. On her way back to Boulder, where she planned to visit with her Grandfather before returning to Britain, Katie found herself at a train station in Calgary, Alberta Canada. While stepping outside to stretch her legs, she was startled to see a consignment of the collapsible gold-dredges she had developed being loaded onto a railroad flatcar -- along with a new, Curtiss Lark floatplane. “Where are those headed?” she inquired of one of the railroaders, a beaver with a face like a hairbrush. “Red Lake goldfields.” he answered, without looking at her. “Red Lake goldfields...what’s that?” Katie asked, and the beaver looked her over as if she’d just stumbled out of a gin-mill. Katie practically wafted back into the railroad station. After all this time, her grandfather’s prediction had finally come true. When she arrived in Boulder however, Katie MacArran was brought firmly and unpleasantly down to earth. Grandpa Joe was overjoyed to see her and was beaming with pride at her exploits. Katie should have been bursting with pride...except she could not help noticing the tremor in her grandsire’s forehooves, a tense, unnatural shiver. Something was wrong...very wrong. For the moment pretended not to see it. “Well wait’ll I tell you what I heard about in Calgary.” She said, and her grandfather responded with a short horse-laugh. Katie should have been overjoyed...and would have been, except for that damn trembling. That night, after dinner, Grandpa Joe took her into his study and explained what was happening. Katie picked the letter up and stared at it. The elder equine just shrugged. Katie opened the letter and read the first few lines. And looked up, slack jawed. “You gonna take it?” asked her grandfather, pursing his lips. She looked warily towards the window. Joe’s ears went flat against his scalp. She looked at the letter again. “I might just do that.” she told him. Katie returned to Howden to a hero’s welcome, not just from the R-100 team and her father, but also from the British press. She was not only the first female to fly over the North Pole, but also the first British Subject, ( albeit one with dual citizenship ) and had been among the first furs ever to successfully cross the Arctic Ocean by air. Furthermore, the reports of her conduct during the expedition, from both Roald Amundsen and Umberto Nobile, had been nothing short of glowing...and that had been practically the ONLY thing the two of them had agreed upon afterwards. “So, what d’yer plan to do next, Miss MacArran?” A reporter for the Daily Telegraph asked her. “Just watch me,” she answered, with a smile. It sounded like a bold, even a reckless statement...but in fact it was nothing more than a reflection of the typical ‘can-do’ attitude of aircraft designers of the era. Years later, in 1930, an American airplane builder named Matty Laird would design and put together a winning Thompson Trophy racer in a mere FOUR weeks...delivering his creation to the starting line exactly one hour before the flag dropped. Then, too...Katie was operating under a number of advantages, not the least of which being that she had already completed the design phase. Furthermore, in her absence from Howden, the engine and the instruments for her new plane had been delivered, and needed only to be unpacked. On top of that, Katie planned to construct the airframe for her racer not from wood or steel, but from Duralumin, an alloy with all the strength of steel, but only 1/3 the weight. 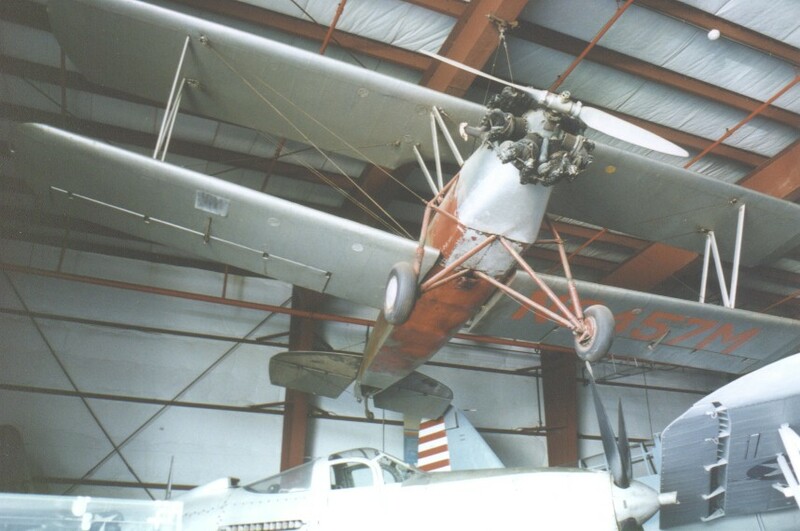 Duralumin was also the material from which the R-100's frame was being built. There were enough extra pieces of the metal floating around Howden to build three air-racers if Katie so desired. True, she did have to have some parts made to order...but thanks to her connections, both family and professional, they were always delivered spot on time and always to her specifications. Last, but by but no means least, there was no shortage of paws available to help Katie construct her plane. In the evening, after work, during idle hours, and on weekends, members of the R-100 construction crew would drop by the little, tin-roofed hangar where Katie was building her racer just to see how things were going...and like the chums of Tom Sawyer, they would invariably end up pitching in to help. Several times, Neville Norway dropped by to lend a paw, and once or twice even Barnes Wallis leant a shoulder to the wheel. However, Dr. Wallis also made it very clear that he would not permit Katie to shirk her duties on the R-100 Project to work on her racer...nor would anyone else be allowed such licence. Fortunately for Katie, she had happened to return to Howden at a time when the R-100 crew was only working half-days. As had occurred so often before, the venture was running low on funds and the backers were having a difficult time obtaining more capital. One morning, shortly before starting time, Katie knocked on the door of Barnes Wallis’ office and broached the subject of the fellowship offer from Purdue University’s Aeronautics Department. That very evening, Katie cabled her response to the Registrar’s Office. The general reaction to the news of her impending departure, was epitomized in Neville Shute Norways’s response. With that, everyone threw themselves into the task of help Katie complete her racer, and on June 19...12 days before the King’s Cup, she was rolled out onto the runway and took to the air for the first time. She was the first airplane Katie had ever built...and she not only met, but exceeded her creator’s expectations; a top speed of almost 20 mph more than Katie had envisioned and so stable in flight, she might have been riding on rails. In heartfelt gratitude to the furs who had labored so hard to help her bring her vison to reality Katie named her race-plane The Rapid Century. (Rapid begins with the letter‘R’...a Century is 100 years long.) On July 1, 1926 she flew her new plane down to Croydon for the fourth annual running of the King’s Cup Air Race. The King’s Cup was an endurance contest in which contestants were required to twice complete an 810 mile circuit of Britain with two daily mandatory stops. In a unique practice, each plane was given a carefully calculated handicap based on previous performance, engine size and speed, and the starting times were then strung out over a period of four hours. Katie, a new and untried racer, but with a powerful engine in her plane and a fast airframe surrounding it, was given a starting position in the middle of the pack. Two months later, after tearful farewells in both Howden and Strathdern, Katie MacArran took ship in Southampton to begin that new endeavor.